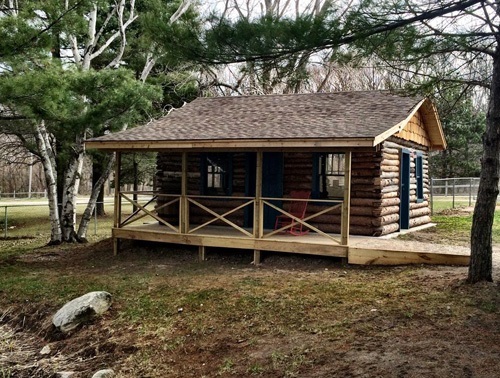 In 2014, Alfred and Donna Boulee donated a log cabin which was once part of the family resort. 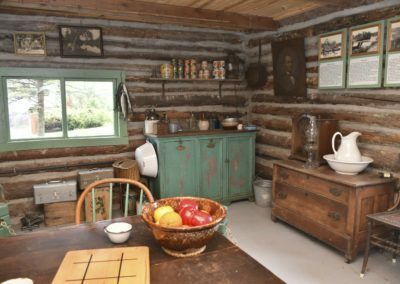 The cabin was in poor shape after over 100 years. In the fall of 2014, each log was marked with a color-coded and numbered metal tag. 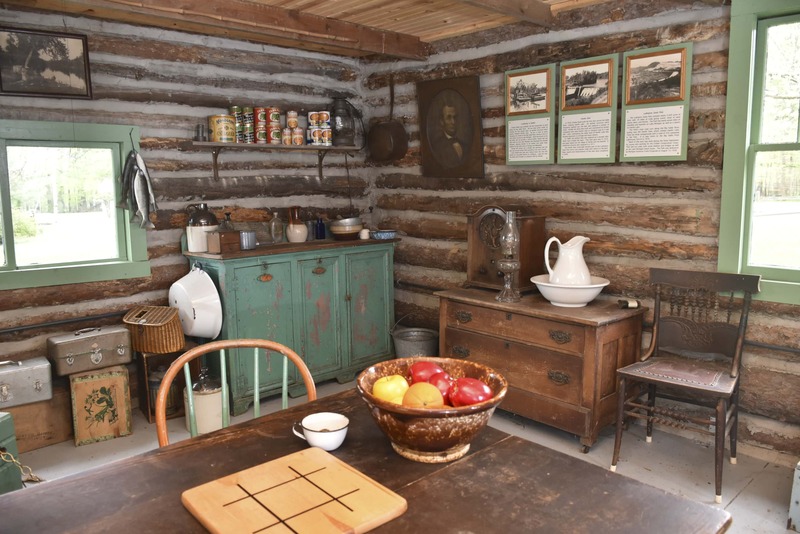 The cabin was taken apart and all the logs were hauled to White Pine Village. 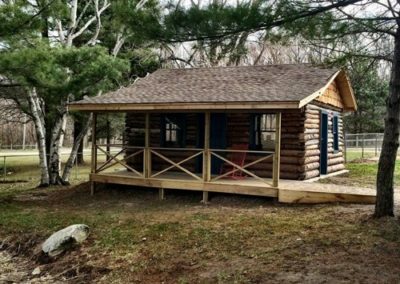 During the summer of 2015, a crew of five reconstructed the log cabin giving it a new roof and porch. 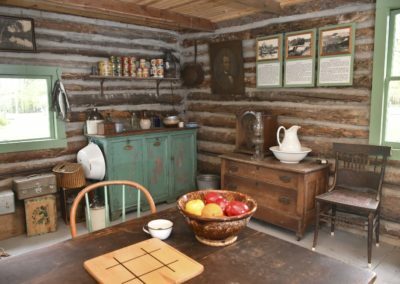 The original cabin had a sleeping loft which was not included in the reconstructed cabin. 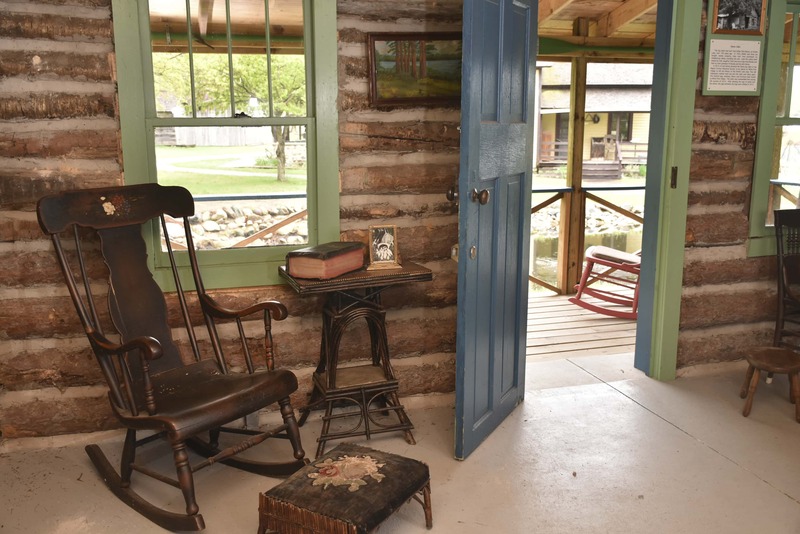 The original stairs to that sleeping loft were kept and placed in the new cabin. 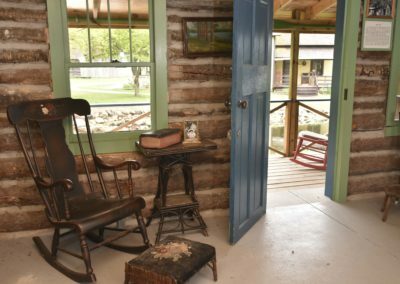 The original doors and windows were installed in the new cabin. In the summer of 2016, after allowing the logs to settle for a year, the chinking was used to fill in the gaps between the logs. 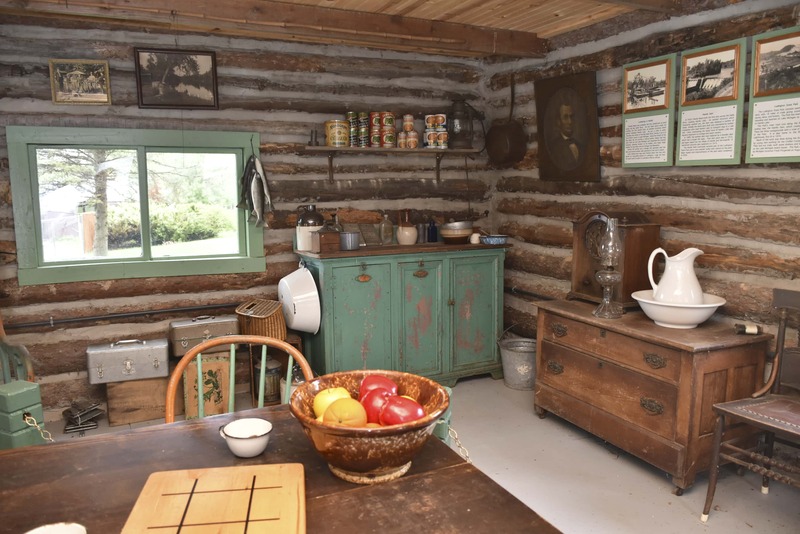 The original furniture was returned to the cabin and educational signs and photos were added.